If your bar is in a busy city or town centre, you will know that there are occasions when your static bar cannot cope with the volume of customers. On these occasions, the flexibility to serve drinks to the casual passer-by or to customers already outside the front of your bar can dramatically increase drinks sales. 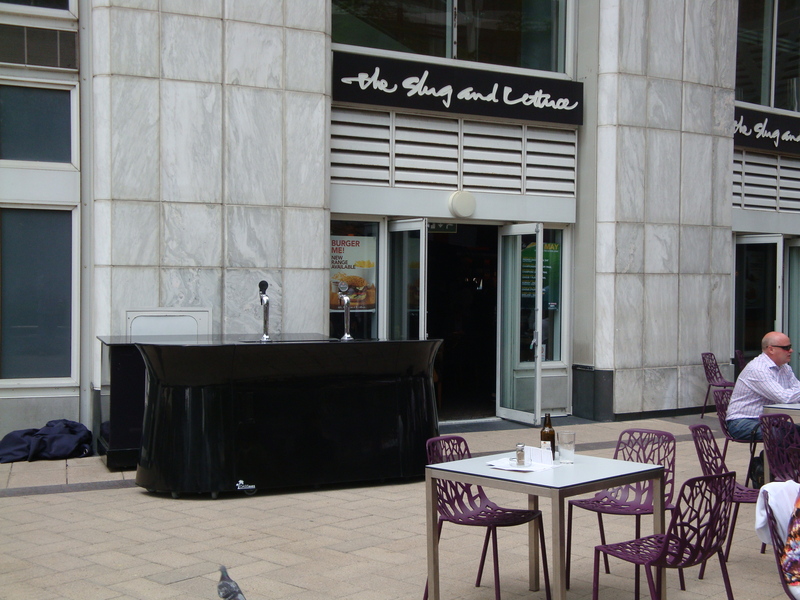 A portable bar can help you to ease this pressure, whilst allowing you the flexibility of moving the bar to where it is most useful, or placing the bar in a location that attracts passing trade, and can therefore boost sales. If the look of the bar is vital, then the Galaxy and Ocean Mobile Bars are perfect for adding some luxury to your venue. Both bars can be fitted for supplying draught beers, as well as allowing space for fridge units and ice capability. The Satellite Bar or Bar in a Box can each offer you the ability to easily manoeuvre and store your portable bar. The Satellite Bar is a perfect one operator self-contained unit that can be used for draught beer. The Bar in a Box can be assembled or taken down in just 5 minutes, and so is the ideal quick response unit for serving chilled drinks. To see examples of how other bars have benefited from the use of a portable bar, click here.